Press conference: May 2, 2019, 11:00 a.m. 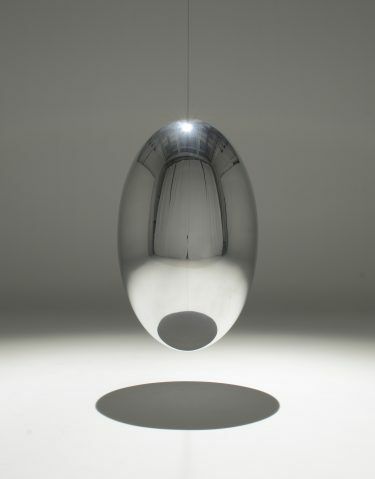 Opening: May 12, 2019, 07:00 p.m.
Ingo Maurer is one of the most versatile contemporary light designers. Be it paper, porcelain or plastic mice – he lights them all up. He is fascinated by the scope that technical advances can offer and develops innovative applications for them. 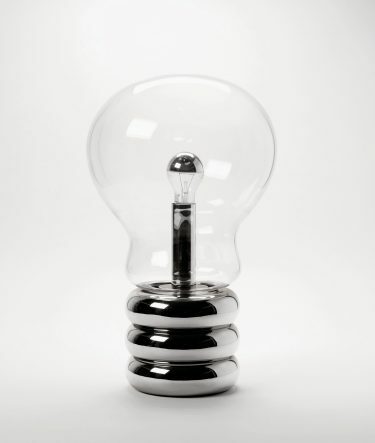 As long ago as 1966 with “Bulb” Ingo Maurer designed a radical luminaire in the form of a glass bulb that gives pride of place to the bulb as a source of light. With his “YaYaHo” low-voltage lighting systems in 1984 he created one of the first wire-hung systems for halogen lamps. His “EL.E.DEE” from the year 2001 is considered to be the first LED desk luminaire. Since the turn of the millennium he has produced LED tables and LED benches, while his LED wallpapers and LED ceilings are legendary. In 2006, in the form of “Flying Future” Ingo Maurer developed a light object with OLED modules and in 2008 Ingo Maurer and Osram together created the world’s first OLED luminaire ready for production: “Early Future”. A pioneer of lighting design, Ingo Maurer is not only critical but also occasionally political when it comes to employing technical innovations. After all, the quality of light and how it influences people are of particular importance to him. Ingo Maurer is internationally renowned not just for his luminaires and light objects, but also for his light compositions for public places. He has received countless awards for his work. Ingo Maurer is fascinated by the immaterial quality of light and makes use of water or metals such as aluminum and copper in order to capture light and reflect it. 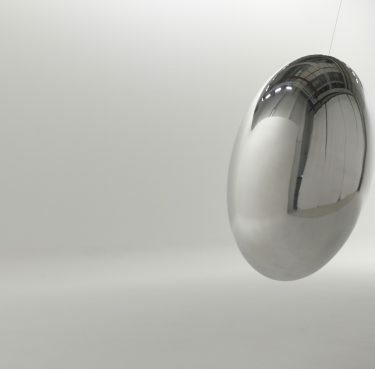 Highly-polished aluminum is also the metal Ingo Maurer used for the “Pendulum” he realized specially for the Rotunda in Pinakothek der Moderne. Some three meters high and one meter in diameter it not only reflects the changes of light in the course of the day and its seasonal fluctuations, but also the room with its characteristic architecture and museum visitors. At the center of the Rotunda and suspended over the floor the “Pendulum” is regularly set slightly in motion and then gradually swings back into place. The concept of pendulums – be they suspended lamps or swinging metal ellipsoids – is a central feature of Ingo Maurer’s oeuvre that enables him to mobilize light using simple means. Since time immemorial people have been fascinated by the archaic shape of the egg and its perfect design. 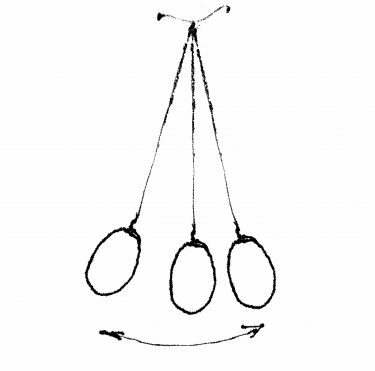 The swinging pendulum is one of nature’s physical phenomena that already provided orientation to the Ancient Egyptians. Watching a pendulum is one of the kinetic experiences with a positive impact on our well-being thanks to its regular and calming motion. It is this combination of the egg’s harmonious shape and the comforting quality of the “Pendulum” that informed Ingo Maurer’s pendulum – it offers us a new spatial experience whether it is in motion or not. From 2019, the Rotunda will regularly feature a site-specific work in alternation with the three other museums in Pinakothek der Moderne: the installation “Pendulum” by Ingo Maurer is the first item in this series for die Neue Sammlung – The Design Museum.